Although the story below smacks of over-zealous bureaucracy, we would all be very sorry indeed if anything happened to any of our hard-working and enthusiastic volunteers. All volunteers for Hayle in Bloom are provided with fluorescent safety jackets and everyone is advised to wear safety boots. Putting a fork or spade through your foot can be very painful. Please take care, too, if you are working adjacent to a road. Even though the Memorial Walk does have speed bumps and a 20 mph speed limit you still need to keep a sharp look out. An unplanned meeting with a cyclist can also be unpleasant. Ask for a Men at Work sign if it is needed or work with a friend. Ask for a Women Working sign, if appropriate! She has needed little more than a trowel and a dedicated green thumb to turn this village flowerbed into a work of art. The 79-year-old, whose voluntary work on the public flowerbed has produced a much-admired blaze of colour, has been told she poses a health and safety risk. Council officials have ordered her to stay away from the flowers until she complies with their safety regulations. 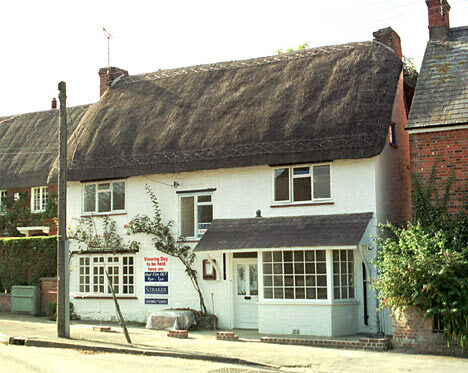 Neighbours in Urchfont, near Devizes, Wiltshire, are amazed that Mrs Turnbull's green fingers are being bound by red tape. The gardener, who has been working on the flowerbed for eight years, said she would ignore the council's demands. "I couldn't believe what they were saying I had to do," she added. "I come and work on the flowerbed at the drop of a hat, when the weather is fine and I have some time to spare. "I can't drag around three great metal signs and have someone standing by in case I might want to do a bit of work on it. "I have paid hundreds of pounds to plant the flowers myself and the compost every spring and autumn has been paid out of my pension. "I work there until the gardening is done. I love doing it. It is my bit to keep the village tidy. It is a lovely little village. "I don't care what they do to me. I will continue working on the flowerbed." Wiltshire county council stepped in when a highways inspector spotted her at work. He asked the parish council chairman Peter Newell, who was with him, if the council had the necessary "Section 96" safety licence. Mr Newell said he had no idea any sort of licence was needed. But he was told the work must stop immediately unless the regulations were met. According to the inspector, the parish has health and safety responsibilities for volunteers on county-owned land. Mr Newell remains bemused at the county council's demands over Mrs Turnbull's horticultural hobby. "She has done a wonderful job for the last eight years - she is marvellous," he said. "It has been a labour of love for her. We all think the council is going a bit over the top." The fluorescent jacket is apparently required to ensure Mrs Turnbull is visible, while three signs would warn traffic in all directions that she was at work. A lookout would provide further checks. For Mrs Turnbull, the order to comply has simply planted the seeds of rebellion. "They can send me to jail if they like," she declared. I just want to be left alone to do it. "It is a very pretty flowerbed. I have tried to make it look very natural." Mrs Turnbull, who is registered disabled since contracting polio in her youth, considers the flowerbed her patch. She pays for the plants from her weekly pension and cycles the half mile from her house to tend them whenever she can. 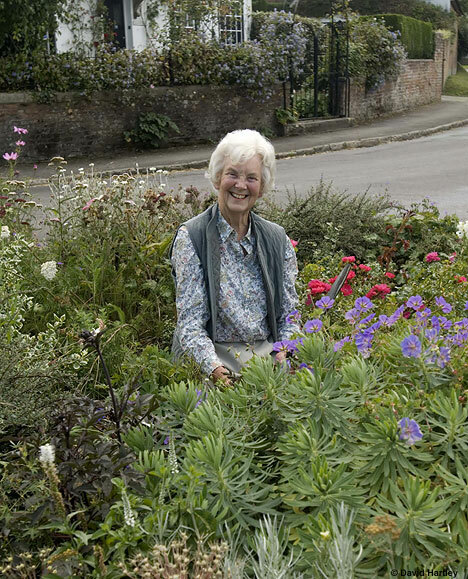 Residents credit her with transforming the flowerbed into a gorgeous focal point, which helped Urchin win the title of Best Kept Village in Wiltshire two years ago. The parish council will meet next month to decide whether to defy the Wiltshire authority's demands. But Peter Hanson, divisional highways manager for the county council, said: "We require that people undertaking this type of work follow the same safety procedures as our own staff to ensure they are not put at risk. "This will include wearing fluorescent jackets, placing warning signs and, in some cases, such as this location in Urchfont because it is on a bend, working in pairs." He added: "We provide both signs and jackets free of charge to any volunteers."